Sometimes you take a picture that's absolutely perfect, or nearly so—except for one glaring flaw. Perhaps a pigeon photo-bombed that shot of the bride and groom; or that great picture of you might be perfect for Grindr except for that wedding ring. Or, as is frequently the case with me, you might want to remove a leash from your dog that was present in reality but spoils the aesthetic. Fortunately, something like this is usually quite easy to fix. 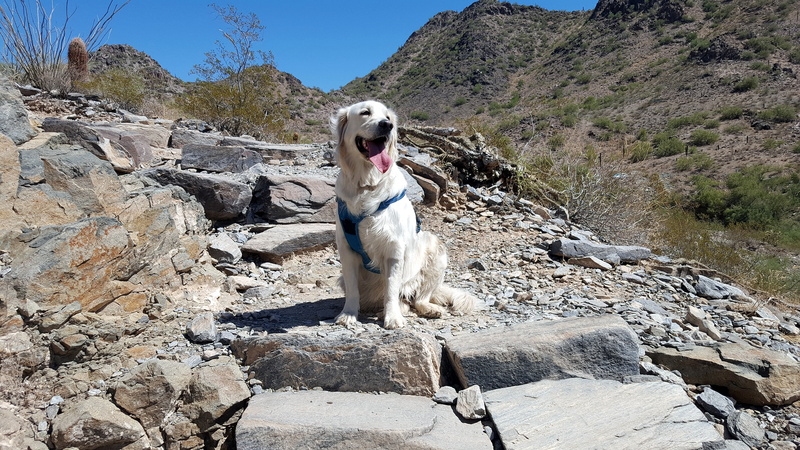 The issue is that I love to take my granddog hiking in the nearby mountain proserves to my house. However, dogs on those trails must be on-leash. That's fine, except for photos. It seems jarring to me to take a photo of anyone, human or otherwise, in what appears to be a natural environment, but tied. So I've developed a skill for photographing Ella on-leash, but making it appear she was not. The photo editor I use most often is called Zoner Photo Pro, and the tool I'll use to remove Ella's leash (seen in the above photo) is called the Clone Brush. 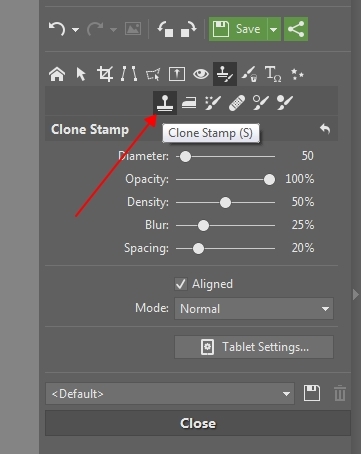 But nearly every photo editor I've seen includes a clone brush, usually called just that. The Clone Brush is a tool that picks up whatever occurs in one part of the picture and copies it to another part of the picture. First, you have to set a brush size. My original photo of Ella was over 5,000 pixels wide, so I chose a brush size of 100 pixels as being wide enough to cover the leash at its widest point. I also chose an edge blur of 25%. 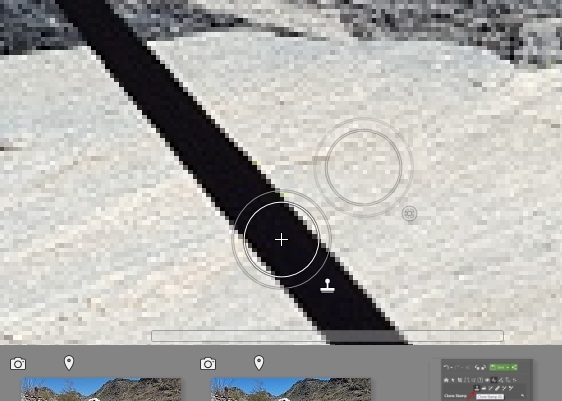 This makes the edges of the edited spots less easy to spot, even if you look for them. The trick is select as the source section an area as close as possible to the area you want to remove. 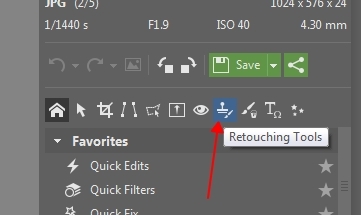 Most editors let you select the source section by clicking while holding down the Alt key. From then on, wherever you click without holding any keys, creates a destination section. The source and destinations will thereafter track each other, or until you reset the source. By continually resetting the source to whatever I think should be where the leash was, I can remove it completely. But wait! We're not done. True, the leash itself isn't visible. But it's shadow can still be seen! That has to be removed as well. The final step is the usual subtle adjusting of general exposure levels, plus a little sharpening. And voila! There's Ella, looking like the princess she is, unleashed.